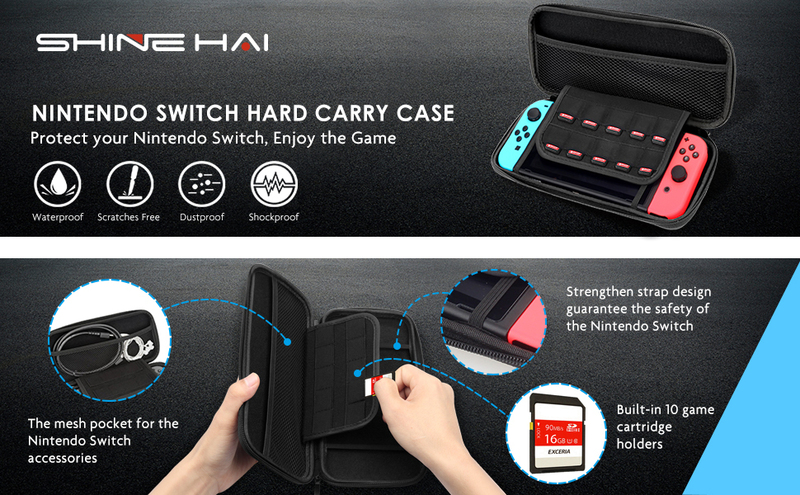 Great Design: SHINE HAI Hard Carrying Case fits the Switch perfectly, great design for your Switch console and accessories. Excellent Protection: The outer hard shell protects the device from drops, scratches and watering, and the inner soft lining provides a comfy home for your Switch, offering great protection for your Switch. Easy Carrying: Super lightweight and slim for carrying(10.4*4.5*1.4inch). The added carrying handle is designed for easy portability. 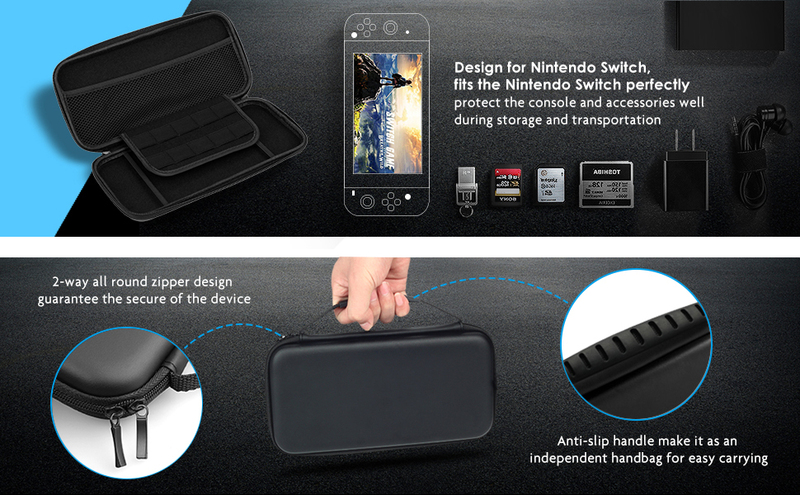 Perfect carry case for keeping your Switch securely stored when travelling or when not in use. Large Individual Secure Storage: The built-in 10 game cartridge holders and the upper mesh pocket provide the individual secure storage room for your games and Switch accessories, such as extra joy-cons, charging cable and ear buds. Hassle-free warranty: Free 2-year product unlimited warranty is offered to our customers, email us for any query and we will be in touch within 24 hours. Replacement or refund will be provided for your preference. Great designed to make your new Switch Console even more portable & travel friendly, ultra slim and lightweight to carry in the backpacks, bags or the suitcases, providing a convenient travel and joyful time. Hard EVA shell keeps your device protected well while the soft inner material keeps your device free from scratches. The built-in 10 game cartridge holder offering dust free protection, and the mesh pockets provides the large room storage for the other accessories. The excellent EVA material makes the case waterproof, and the inner comfortable flocking and lining make it shockproof, protect your console and accessories well.